The principal at my daughter’s school has been waxing poetic lately about the 40 Developmental Assets for Adolescents, as identified by the Search Institute, a research organization with a mission to discover “what kids need to succeed.” Number 25 of the developmental assets is reading for pleasure. For librarians, this comes as no surprise. The million dollar question, though, is how do we get kids reading more, especially at the adolescent stage when the voluntary choice to read begins to wane? …and magazine (not sure that these count as sustained reading when they are formatted as bits and bites of information). So, what other modes can give that same sense of sustained reading (I’ll call this a state of flow) that really good books (including graphic novels) so often do? Text adventure games. These harken back to the days of DOS, and I think any self-proclaimed gaming geek will be familiar with them. This is reading plus gaming, which makes for a powerful literacy tool. You can still play some of the classics, including Colossal Cave Adventure and Zork. Additional titles can be found here (you can even create your own). Text adventures are a great way to bridge gaming literacy with traditional literacy. Story making. Writing is an active approach to reading, so what better way to foster recreational reading than to foster recreational writing? Internet technologies make it so easy. My favorite story making tools include Storybird, My StoryMaker (Carnegie Library), and Drawp (also, Drawp for School). For a list of more tools, click here. Transmedia franchises. Hollywood has handed librarians a pot of gold with the proliferation of transmedia franchises. We can now enter a story world through a movie, a video game, or a social media platform (and more) before we ever discover the book. The Game of Thrones franchise is a massively popular example of this, as is Star Wars. 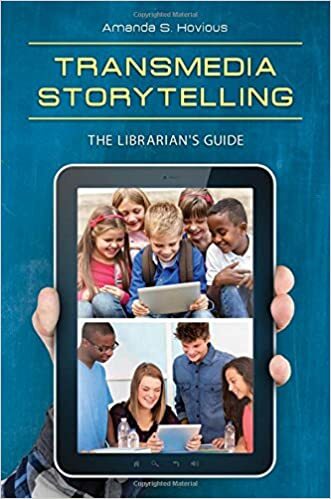 Take advantage of transmedia franchises by helping students make connections between the story worlds, so that they eventually land on the book.